The breakthrough Epilepsy medication Epidolex could be available in the second half of 2018 pending Food and Drug Administration approval. The medicine is part of a new class of medication with its active ingredient extracted from marijuana. It is based on a purified cannabidiol, in which the interest in its use of marijuana-based medications for seizure treatment met its peak in earlier years after the overwhelmingly convincing results from the strain of “Charlotte’s Web”, which helped Colorado Mom, Paige Figi’s daughters seizures at only 5 years old. Since then, families who’s loved ones were suffering from similar issues flooded the state to try to get treatment, or organize their own state to get permission to import it. The drug was developed by GW Pharmaceutical, who announced Wednesday the results from a study of 171 participants suffering from Lennox-Gastaut syndrome. The patients ranged in ages from 2 to 55 and were suffering from seizures and were not being controlled by any other medications. Most had tried and had poor results from six different anti-seizure medications and were experiencing at least 74 “drop” seizures a month. Drop seizures are dangerous because they involve the body, head or trunk and generally result in an injury or fall. The results from the study with Epidolex and a placebo drug showed that over a 14 week treatment period, 44% of the patients on the medication saw a substantial decline in seizures. 22% of placebo participants in comparison saw results. 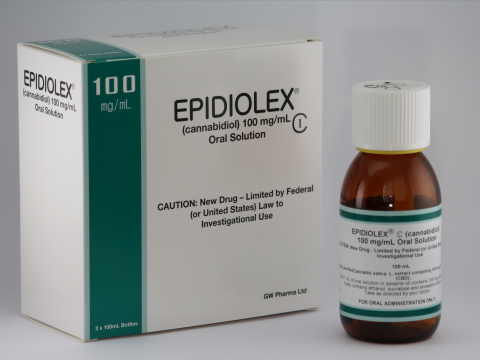 Further, of the participants given the Epidiolex, patients experienced a 50% or more decline in drop seizures. “For some, it does not do a whole lot. But for the people it does work in, it is priceless,” says Elizabeth Thiele, Directory of Pediatric Epilepsy at Massachusettes General Hospital and lead author of the study. She says results varied depending on the patient. Gover declined to discuss the price of the medication, but did confirm the company is already in talks with health insurers about coverage.